We usually ignore the particular nature of usability. However, we must note here that with usability, a designer can design more efficiently and you can grow the user base of your website as well. Usability design enhances a product’s usability, which is an essential part of instructing the real design. You can also consider it as the user-centered design. Thereby, it incorporates two vital parts. The first one is usability testing which depends on the target audience’s psychological study (the use of the procedure, user requirements, user model, etc.). Another one is for associating the Industry Psychology, Ergonomics, Cognitive Psychology, and other fields of fundamental principles are widely used in the design behavior. Usability is an analysis of a product which been utilized in a particular condition by particular users, which can accomplish the particular object in an efficient and satisfying way. Usability is not just associated with the interface design but also engaged in the tech level of the whole system. Human factors reflect the usability and it is measured by functioning different types of jobs. Finally, usability describes how users can efficiently interact with products and how they can use a product easily. Thereby, usability refers to the ease of operation or access of a website or a product. This is a sub-field of UX design. 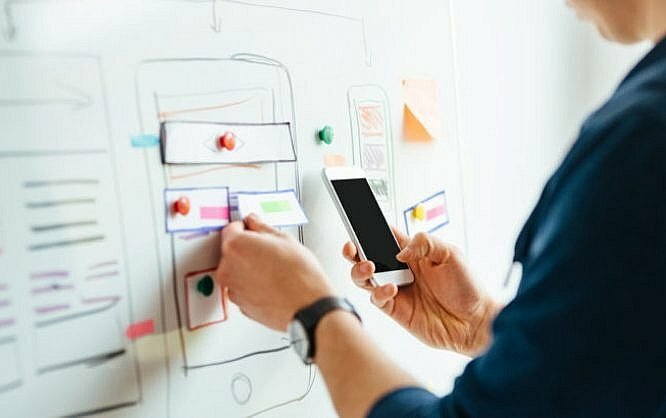 Albeit usability and UX design were earlier utilized interchangeably, now you should understand that usability especially contributes to user experience design; nevertheless, it is not the entire experience. You can precisely analyze usability. A user can concentrate on his jobs and perform with his own functional procedure. He does not need to understand the structure of the software or the man-machine interface’s menu, icon meaning and the structure of the man-machine interface. Moreover, he does not need to ponder how he can convert the job into the input mode and input procedure of a computer. A user does not need to acquire the know-how of software and hardware of the computer. A user cannot be absent-minded by the use of his hand; the function must be repeatable and easy. Under some particular scenarios and ambiances, users can still normally use it. Misunderstanding and errors of the operation will be reduced. A user is able to acquire the knowledge of how to operate in a short time span. From the viewpoint of a user, usability is necessary as it is able to help the users finish their jobs precisely, and users are able to use it comfortably instead of doing any stupidity. From the viewpoint of the developers, usability is a vital rule to decide a system’s accomplishment. And from the aspect of the manager, the low usability of products will highly lessen productivity and people won’t be ready to purchase your items. After all, every item which has poor usability will just waste their energy and time. What Is Pondered As A Usability Design? Proficiency – The level which a user can complete a specific job and accomplish a particular object precisely and fully in a short time period. Satisfaction – The subjective satisfaction and acceptance level of a user in the procedure of operating a product. A website with good usefulness needs to follow a few factors, such as properly designed, quick connectivity, ease of use, fully described and examined, and meaningful and user-friendly data interaction, and robust style. Iteration design is the main point of accomplishing the higher level of usability. In order to optimize the design by measurement gradually from the initial stages, and the analysis procedure helps developers and designers collect the feedback given by the users until the system acquires a considerable usability level. The ideal way of making sure usability is to examine the real users on the operating system. Accomplishing a higher level of usability needs the design functionality to concentrate on the system’s end users. There are numerous ways to decide the prime users, how they function and what should be done. Nevertheless, often the budget and schedule of the user possibly demotivate this perfect way. It would be great in case we could draw UX’s borders like it can be done on a map of a country. But sadly, reality tells something else. Although we prefer implementing systems and making sense of phenomena, we should keep in mind that users are individuals. Hence, they decide everything by emotions and logic only. A website must incorporate sufficient details in a format which is easily digestible so users can make detailed decisions. You must remember to streamline your design and use restraint to make it simple. Usability refers to the analysis of a user’s capacity to reach a website and finish the preferred task. Keep in mind to design sites, instead of concentrating on designing pages and thinking all will flow easily later. Online experiences cannot be so good for people with various disability levels. There are a few accessibility principles with which websites must adjust to help the hearing flawed, the visually impaired, the motion flawed, etc. Content for the learning impaired should be cautious consideration for offering an absolute user experience. When a user can create an emotional connection with a website or a product, he gets the best experience. This means going beyond useful and usable and on to growing content which helps him create such a connection. Emotional design is a major part of the user experience. The faith that your site incites in your users also plays a role in the user experience. Security is one of the prime concerns users get online. Mentioned these concerns via your design, for instance, by having simply accessible policies and displaying security features, can allow forming a sense of credibility for the users. Undoubtedly, the Usability of design is necessary. Nevertheless, we have to ponder usability along with the aforementioned concerns to form amazing user experience. The UX design comes from content, interactive design, graphic design, etc. Users must find it simple and become efficient while utilizing a design interface. They must be capable of learning the interface with ease, so they return to your site more easily. They must be capable of accomplishing their targets simply with the use of the design. While deciding usability, you must measure your website design, considering everything from the usefulness of content and accessibility to designing content and credibility users will explore. This means you need to think more. You need to understand who your users are and whether they are having issues while reading your text. Can you use a fun tone for making them happy? Users always need to feel reassured that they are using your site with complete security. So, make them feel secure. Moreover, you need to ponder web realities. You must find a trustworthy server for your website which loads fast. Visual elements, incorporating content formatting and layout colors are necessitous also. Although having a good-looking website is great, you need to think about whether they can navigate it easily or not. The ultimate thing to consider is to test your website design. Don’t underestimate the importance of testing them from an initial stage. For instance, if you work out where users click, you can be on track properly to understand their approaches and also how useful your website is.